Sam and Vanessa came back in the wee hours and bought me some food for supper which was perfect as I just woke up after a long slumber at 2.30am! 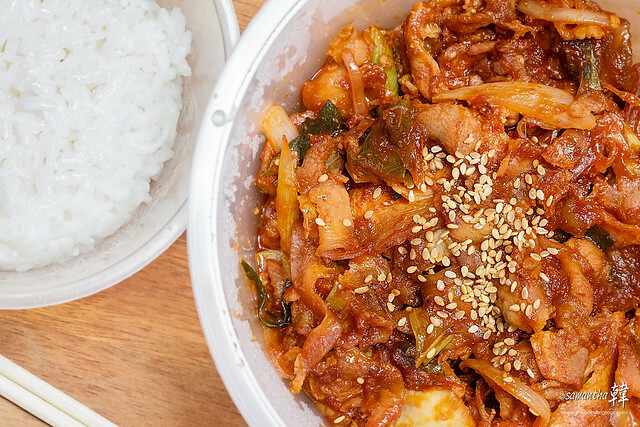 But having rice dishes in the middle of the night, in fact throughout the day, in Asia is not a big deal since rice is a staple here. 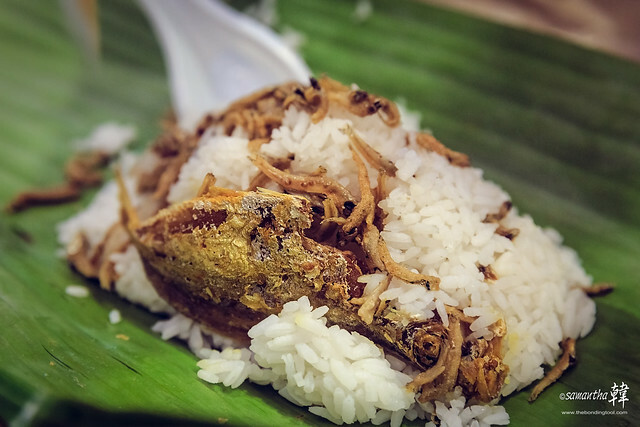 Rice dishes we eat like all-day-breakfast items are nasi lemak, lontong, rice porridge and lor mai kai, to name a few. Lontong can be considered a vegan meal if there’s no dried shrimps used in the rempah or spice base. 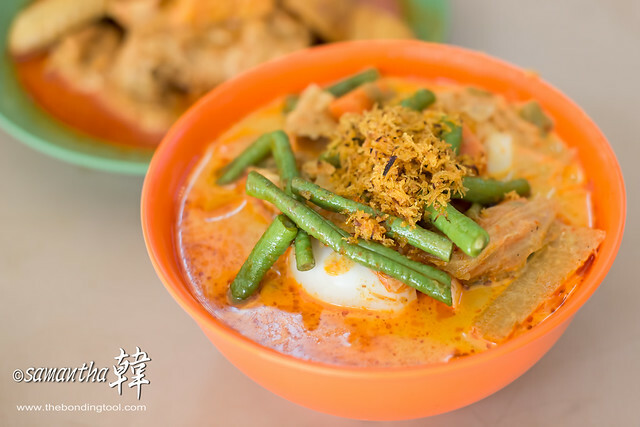 It contains compressed rice cakes, like those served as sides in satay meal, covered with curry vegetables. 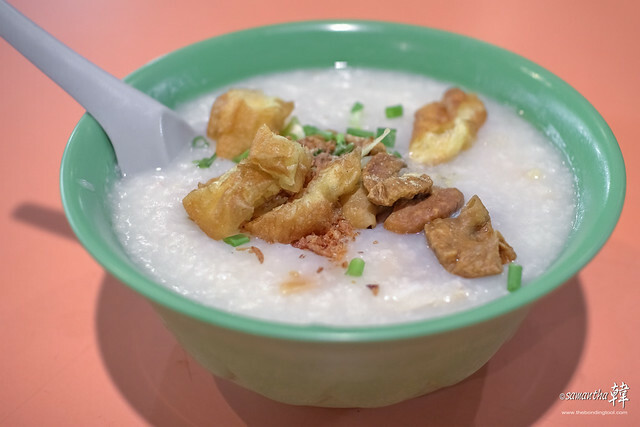 Rice Porridge with assorted pig’s organ. 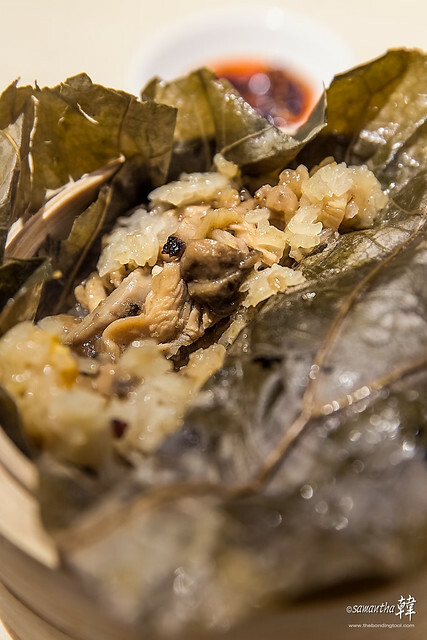 Lor Mai Kai – Sticky Rice with Chicken wrapped in Lotus Leaf. “Rice is the seed of the grass species Oryza sativa (Asian rice) or Oryza glaberrima (African rice). As a cereal grain, it is the most widely consumed staple food for a large part of the world’s human population, especially in Asia. It is the agricultural commodity with the third-highest worldwide production, after sugarcane and maize, according to 2012 FAOSTAT data. Rice is the most important grain with regard to human nutrition and caloric intake, providing more than one fifth of the calories consumed worldwide by humans. 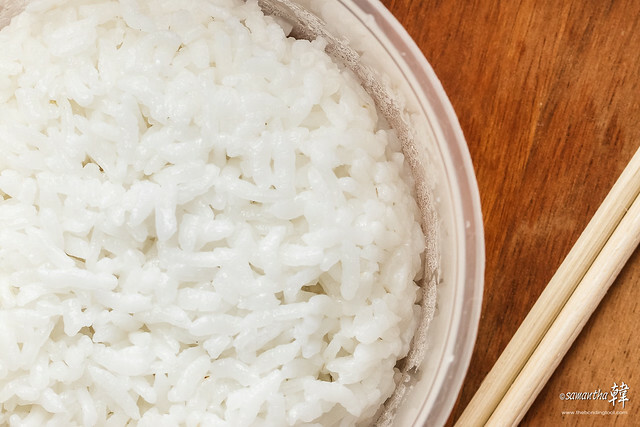 The varieties of rice are typically classified as long-, medium-, and short-grained. Can you guess what grain this picture shows? This is definitely not long-grained but I wouldn’t know it would be classified as medium- or short-grained. And, of course, I did not eat plain rice. 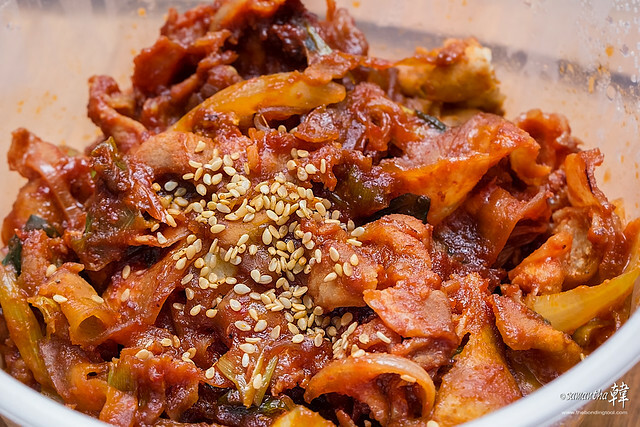 I had it with 돼지불고기 (Dwaeji Bulgogi) which is a spicy Korean BBQ (韓國燒烤) pork belly meal. My supper of Dwaeji Bulgogi set meal of spicy pork belly bbq and rice was bought from Shin Manbok at Neil Road. Needless to say, this post was inspired by the gratifying supper I had a few hours ago. I think I have annoyed Vanessa by popping my head in and out of her room numerous time, asking where Sam bought the mouthwatering bulgogi. ← Wow Wow West Western Food – Serving The Lord On Sundays! The Boss is Spanish ( from Puerto Rico) so it is rice, rice and rice at every meal. However, we don’t eat red meat so it’s rice and beans, eggs and onions. They call it the poor man’s meal in PR. We have lots of poor man’s meals that rich men comes a queueing in their limousines 🙂 Blessed week ahead Michael!